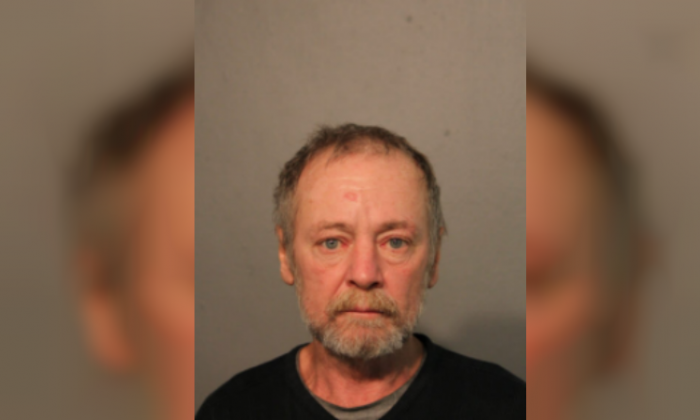 A Chicago man claimed he was unaware that his wife was dead in the apartment they shared despite noticing a foul odor coming from her locked bedroom for a month. Cook County prosecutors said on Friday, Dec. 22 that if the husband, Steven Seiler, had bothered to look inside her room, he would have noticed his wife’s naked body covered by a pile of blankets and a blue tarp, reported Chicago Sun-Times. Tamara Wilson, 58, was dead for at least four days before police discovered her “badly decomposed” body at their Uptown apartment on Sunday, Dec. 10 when they responded to a wellness check, according to the Cook County Medical Examiner’s Office. The office is awaiting results of a toxicology test to determine how she died. Seiler, 60, told police that he didn’t know his wife had passed until he got a call from his daughter. Authorities noticed “bodily fluids” smeared all over the apartment and a rotting stench when they forced opened Wilson’s locked bedroom door, Assistant State’s Attorney Julia Ramirez told the newspaper. When the 60-year-old returned back to the apartment, he was arrested and charged with concealing a death on Tuesday, Dec. 19, implying that police believed he might have known about her death sooner, reported the newspaper. He was found to be carrying Wilson’s state ID, Social Security Card, debit card, birth certificate and wedding ring on the day of arrest. He was released on electronic monitoring, as per orders from Judge David Navarro on Dec. 22. According to Seiler’s version of events, he noticed a smell coming from his wife’s bedroom by Nov. 24 when he went to use her debit card to buy a gold coin online, reported Chicago Sun-Times citing Ramirez. The smell presumably wouldn’t have improved on Dec. 1 when he allegedly sold the coin at a pawn shop. Ramirez said Seiler was seen on security cameras checking the mail for five days in a row prior to police discovering his wife’s body. The couple’s relationship had not been smooth sailing. In October this year, Seiler had pleaded guilty to domestic battery charges for assaulting her and was barred, under a protective order, from entering their apartment while under the influence of drugs or alcohol, the prosecutor said. Chicago Police records show that Seiler had a history of abuse. In 2009, Wilson won $120,000 from her husband in a civil lawsuit related to another domestic violence occurrence. A few months prior to her death, Wilson had taken Seiler’s inheritance check and had given it to her lawyer, reported Chicago Sun-Times. The couple has been married since 2014 and has a 22-year-old daughter, reported the newspaper, citing Ramirez.